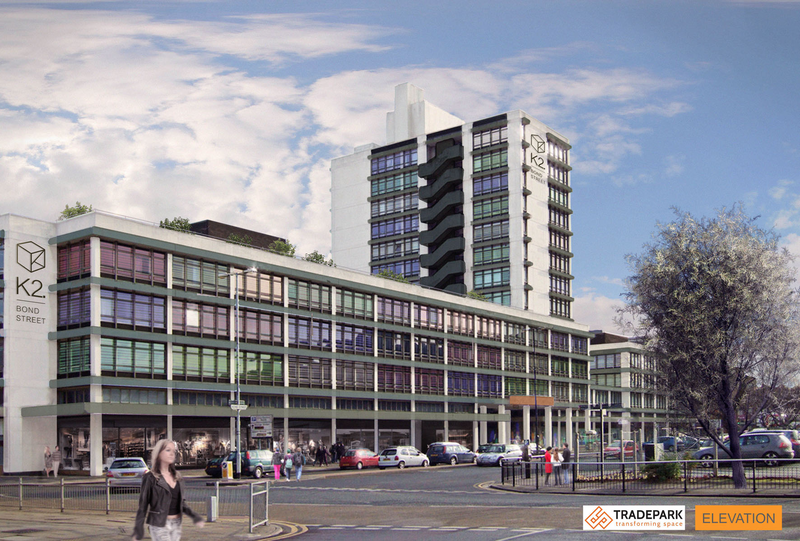 One of Hull city centre’s iconic buildings is set to be transformed into a pioneering multi-functional living and workspace complex, as part of a significant £6m investment by Tradepark Ltd.
Kingston House, in Bond Street, will be the new home of K2, the city’s first multi-space concept of its kind, which will incorporate flexible office and co-working space, 14 luxury serviced apartments and a 100-bed hotel. K2 will house retail and leisure space, with plans to include a restaurant, gym, bar and a café with rooftop terrace. Tradepark Ltd purchased Kingston House via NPS in August 2017, with work starting on the 90,000sq ft site via principal contractors MLS Group in September. The first office space will be ready in November and the first serviced apartments will be available from January 2018. Tradepark has already appointed full-time staff to manage the new multi-space community and has several tenants lined up to take space at K2. “K2 will be a revolutionary building, designed for a thriving, modern city. It will bring businesses, creative professionals, residents and visitors together in what will be the first concept of its kind in Hull city centre. “The complex has been inspired by contemporary, flexible co-working spaces, serviced offices and apartments in the trendy neighbourhoods of New York and East London, which we believe will attract organisations and enterprising individuals alike.